Only 500 Silver R3M Bessas made world wide! OF the 2500 total 250th Anniversary Sets, 1000 went to Europe, with another 1000 or more to the Japanese home market. 500 or less shipped to the US and the rest of the world. 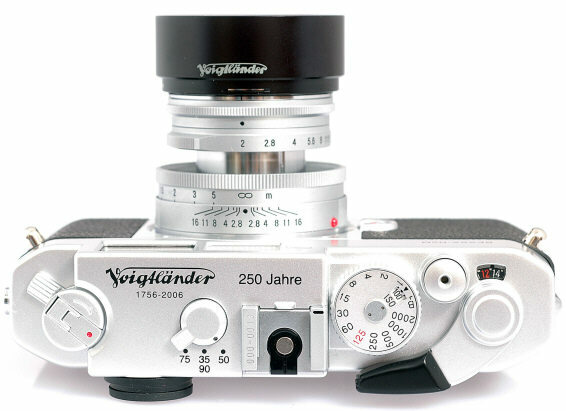 The Voigtlander 250th Anniversary Set production was very limited. Only 300 silver paint R2M, 700 black paint R2M, 500 silver paint R3M and 1000 black paint R3M. These are rare cameras and lenses. Standard production black paint R2M / R3M are in current production WITHOUT the Anniversary engravings. 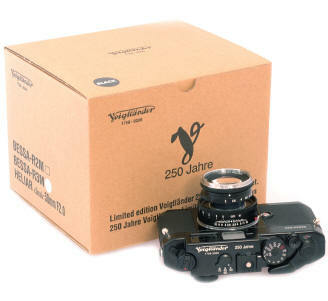 The 250th Voigtlander Sets are rare cameras! Popular Photography raves about the 50/2 Heliar! Take a look at the December 2006 issue of Popular Photography, page 59. Burt Keppler's article is essentially about the 50/2 Heliar. Quoting "The Heliar turned out to be incredibly good, comparable at all apertures to the 50mm f/2 Leica Summicron-M we'd tested in 1996." 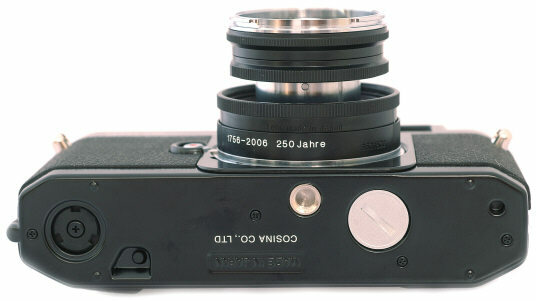 Cosina did it with "Newly developed super high-index glass (that) reduces all aberrations." Keep in mind the only two camera makers in Japan that produce their own glass are Cosina and Nikon. When Tom Abrahamasson and I discussed a new Heliar at the factory with Mr. K in 2004, he was not not at all sure a satisfactory modern 50/2.8 Heliar could be produced. It would not surprise me if Mr K had this high index glass developed just for the new Heliar. 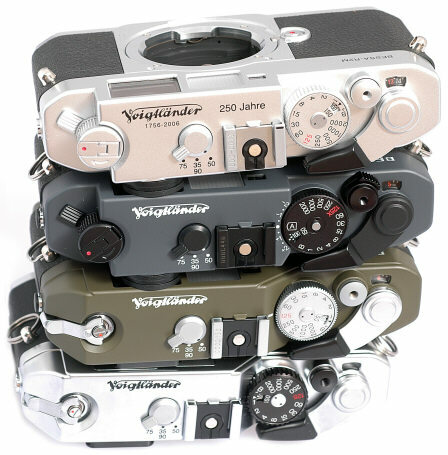 The leaning Tower of Voigtlander: top plates compared, top to bottom: Silver R2M, Gray R2A, Oliver R2, Silver R.